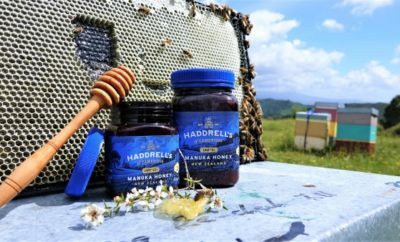 Haddrell’s of Cambridge, a premium Manuka Honey brand from New Zealand recently launched in Singapore, and is available at Nature’s Farm. 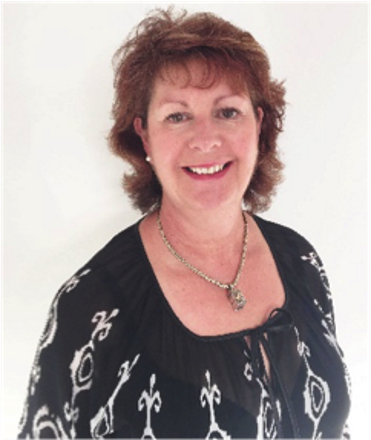 We speak with Mrs Moira Haddrell, the General Manager Honey Business Advisor for Prolife Foods. Along with husband Richard, Moira started the Haddrell’s of Cambridge brand in 1993 starting out with 15 beehives, building this up to over 5000 beehives with export markets in 10 countries. The business was sold to Prolife Foods in December 2015. Moira has had extensive involvement in the honey industry over the 24 years, being on the UMFHA Executive for 10 years, holding the position of UMFHA Chairperson for 6 years. The Active Age (AA): How is manuka honey extracted and processed? Moira Haddrell (MH): Manuka honey is a thick gooey honey that requires special machinery to extract it. We put the honey through a honey loosener to loosen the honey out of the frame, then put the frames into a spinner to spin the honey out really fast. The honey is then pumped through filters to extract any excess beeswax etc and then into a honey drum for storage. A sample is taken as it is poured into the drum so we can get it independently tested for its UMF level. The honey is then put into our warehouse and stored until it is needed for an order. AA: How can a customer tell the difference between real and pure manuka honey and counterfeit or adulterated manuka honey? MH: This goes back to our information about buying honey from a credible retailer, who have well trained staff. This retailer should have a close relationship and visited the honey supplier. They will only supply you with a trusted brand. Our trusted brand is direct from our beekeepers. We look after our bees as best we can, ensuring they live in a nice environment, where they can collect the best quality honey. Our trusted brand is backed by industry science that is continually researching the qualities of the honey. AA: What are UMF numbers and does a higher number (e.g. 16+) mean the honey is better than those with lower WMF numbers? MH: UMF® means Unique Manuka Factor. This is a registered trademark held by the UMF® Honey Association. It is a group that Prolife Foods belong to. By allowing to use this trademark we must test every batch of honey for its UMF level, often many times. We are independently audited each year by the UMFHA to ensure we are complying to the rules. Each time we sell UMF Manuka honey we pay a levy to the UMFHA and this levy is used to further research and science, and protect the trademark in various countries around the world. There is also advertising and marketing material. 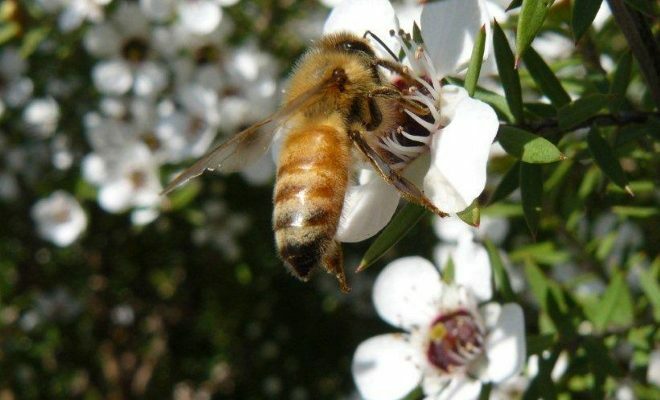 AA: What are some of the health benefits of manuka honey? MH: We are not allowed to make health claims about honey here in New Zealand. Generally we use honey as part of a healthy diet in balance with the rest of our diet. 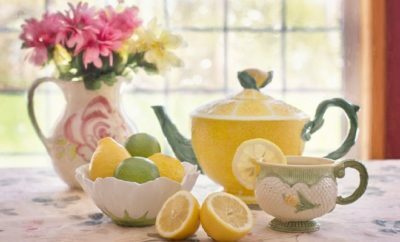 AA: What are some of your favourite honey recipes? MH: I use honey a lot in everyday cooking, from using honey with soya sauce and oil as a marinade for stir fry. I use honey as an alternative sweetener in baking. Having two boys and a large team of beekeepers, I bake a lot. One of my go to recipes to fill them up is Chocolate chip honey muffins. Good healthy tasty muffins that are yummy when warm straight from the oven!